Recently, Mukesh Ambani, India's leading industrialist announced the launch of his much awaited project, "JIO", a service that promises calls and internet at mind boggling pocket friendly rates. Decipher this, 1 GB data for as low as INR 50, add to this the promise of free outgoing calls for the next three months. Moreover, the mobile internet services being offered by JIO ain't the good old and slow 2G but high speed 4G. As expected, the launch of JIO has become the latest talking point in circles ranging from politics to family dinners, with other firms in this segment such as Airtel, Idea very noticeably getting irked and grudgingly accepting that JIO is now the service to beat. Way back in the year 2002, Reliance entered into the mobile telephony segment with the launch of Reliance Infocom. At that time, it was giving away multimedia enabled phones for as low as 501. Further, it was also the first mobile operator to offer free incoming calls ( yes, as hard as it is to believe , there was a time when people had to pay for incoming calls on their phones). As was expected, the mobile service became a bestseller, with exponential growth all over India. Circa 2005, in Mukesh Ambani's feud with his younger brother Anil, he had to give away the control of Reliance Infocom. Since then, rumours have always been rife that it's Ambani's dream to enter into the mobile telephony sector and he will do it sooner rather than later. 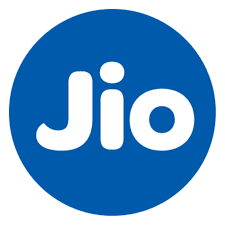 Reliance has invested a mind boggling 1 lakh 34000 crores in JIO, a financial number most other firms in the Indian telecom sector cannot match. They simply do not have the financial heft to invest such a large amount. At best what firms like Airtel, Idea and Vodafone can do is to promise better services along with discounts on two or three of their services. Another idea, an idea that can be called as radical is consolidation amongst the firms in the telecom space to take on reliance. One more radical idea is selling stakes in their companies to global behemoths who can match reliance's financial prowess. In the short term, we are sure to see masses of people flocking towards JIO, replacing their current mobile operators. This will obviously result in heavy financial losses for telecom firms, which will expectedly generate fireworks. In fact the fireworks seem to have already started, with rumours of heavy and sharp exchange of words between officials of Reliance and other telecom firms at the meeting called by the telecom tribunal just this past week. As for the customer, it would suffice to say that enjoy the benefits because as the old adage goes" customer is the king".